Are you looking for a hairstyle that’s on trend yet natural looking and easy to maintain? Consider going ombre. With ombre lightening, your colourist selects strands of hair and then lightens them from the ends to the middle, softening the colour as she moves upward. This leaves you with darker colour near the top of your head that fades gradually toward the ends. Highlights can be any of a variety of brown or blonde shades. Your colourist can help you select the colour that best suits your skin tone and help you decide how high up your highlights should go. Ombre colouring can be appliaed to hair that is long medium or short and straight, wavy or curly. Because ombre hair is already darker at the roots, you don’t need frequent touchups. If you choose, you can make frequent salon visits to maintain the look you had when your colour was first applied, or you can spend more time between salon visits, refreshing your colour only when it’s convenient. This makes ombre colouring ideal for someone with a busy lifestyle. In fact, you can let your colour grow out completely, and then try a different look – the perfect solution for someone who is considering a change but is afraid to make a permanent commitment. We wouldn’t recommend it. Ombre colouring requires an expert touch. The hair colour specialists at our salon in Exeter understand how to create the perfect shade for you and how to apply it to bring out your best features. 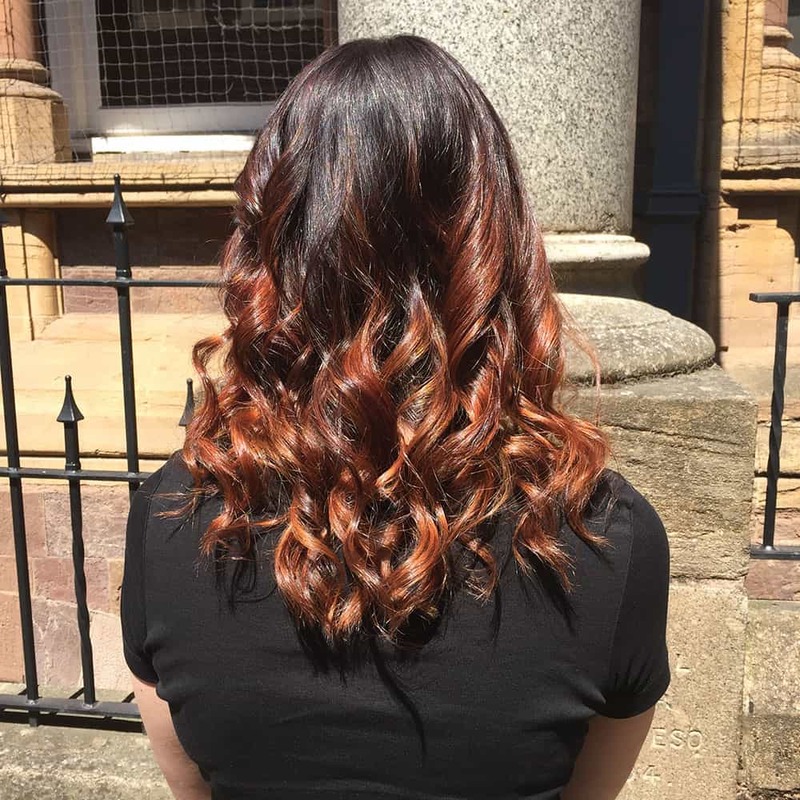 If you’ve already tried DIY ombre hair, or other exeter hairdressers and it hasn’t turned out as you had hoped, ask us about our colour correction service. To learn more about ombre hair colouring and find out if it’s right for you, visit our Exeter hair salon for a free consultation. Simply call us on 01392 499162 or use our online form to make an appointment with one of our Exeter Hair Colour Experts.